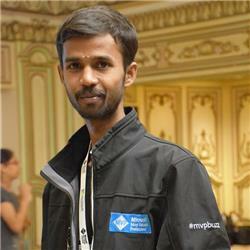 Anbu Mani is working Associate Technical Analyst in Changepond Technologies, Chennai, Tamilnadu, India.I am also a Microsoft Student Partner (2012/2013), U Crew Representative Windows 8 & 8.1(2014/2015), Member of Microsoft India’s App Review Board and recognized as distinguished member of Microsoft App Builders Club(2013/2014). My area of interests are C#, ASP.NET, SQL Server, Xamarin Android, Xamarin Cross-platform, Windows Apps Developement, Microsoft Azure, and MongoDB. Re: Does anybody know tutorial on xamarin listview with json.